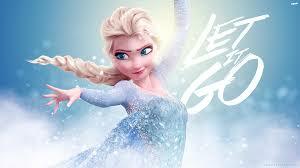 Let It Go | It's In The Sauce! ← Be A Front Row Person! What do you do when you can’t resolve conflict? It is a given that we will have conflict. There seems to be more of it lately than ever before. Our current political environment is a great example. I have heard several people bemoan the fact that it is difficult to have a civil conversation about different political views. I can identify. I do not have a good answer for that. I am less concerned about that than I am the everyday conflicts we have with our family, close friends, and important business associates. When those conflicts aren’t resolved, that is serious. One of the reasons we have conflict is due to our different personalities. Because of some of our differences, we view how we manage conflict through different lens. My husband and I are an example of this. Mike is one of the nicest people you could ever meet. We have been together for 33 years, married for 32. In all of those years, I am only aware of three people with whom Mike has had significant overt conflict. Two of those people are aggressive personality types that created the conflicts. (Now I realize that I am prejudiced, but this is a fact!) The third person is passive aggressive. Mike is a problem solver who believes at his core that people are reasonable, and that even if they do not agree with you, they will be able to work through their differences amicably. Not true of some people. In addition to different personalities, there are motives that can affect how some people manage differences and conflict. And then there are some people who just do not like us, for whatever reason. Getting along well with people who do not like us is difficult, especially when circumstances necessitate that we must deal with them. Then there is the issue of believing we are right and the other person is wrong. Additionally, if there is a power difference, that complicates how we are able, or not, to manage our differences. Earlier I mentioned “overt” conflict. Overt conflict is conflict which is expressed, not hidden. Overt conflict usually involves direct communication of the differences. There may be anger expressed in overt conflict, but that is not always the case. Covert conflict is hidden, and can be expressed in passive ways. In the case of covert conflict, the person who feels it (and both people really feel it) and yet doesn’t express it often becomes frustrated and even angry, yet does not deal with those feelings in a manner that resolution of the differences can occur. Regardless of whether the conflict one is experiencing is overt or covert, it is important to decide whether resolution of the conflict is a reasonable goal. There are various reasons why determining that resolution is unlikely is a wise decision. While getting to that decision isn’t easy, when one has reached it, the best option at that point is to Let It Go. Just Let It Go. Recognize that it is not possible or even necessary to work through conflict with all people. Also recognize if you can’t, it is impossible for a healthy and productive relationship to occur. So also let go of the desire for such. This entry was posted in Relationships and tagged business blog, conflict, conflict resolution, Frozen, relationships. Bookmark the permalink.